Lucy Strawford, a UK trained SLT working in Dubai is offering free initial assessment sessions for adults who stammer, as part of International Stuttering Awareness Day initiatives in Dubai. 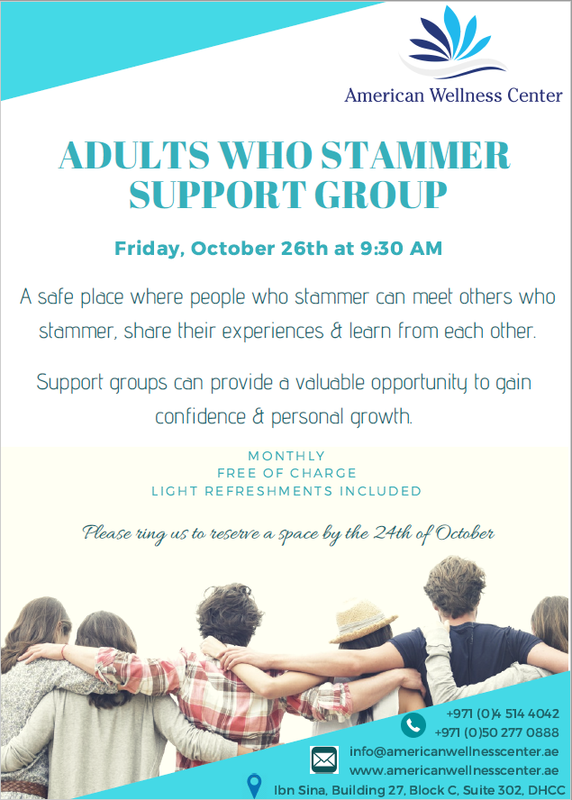 She reports that she has started a free monthly ‘Adults who Stammer’ support group, starting on the 26th October. Lucy has also created an ‘Adults who stammer- Dubai’ Facebook page to share ideas, research & resources in Dubai. Lucy shares that she thinks this is the first such efforts for people who stammer in Dubai. Wow! How exciting. Thank you Lucy for creating stammering awareness in Dubai!